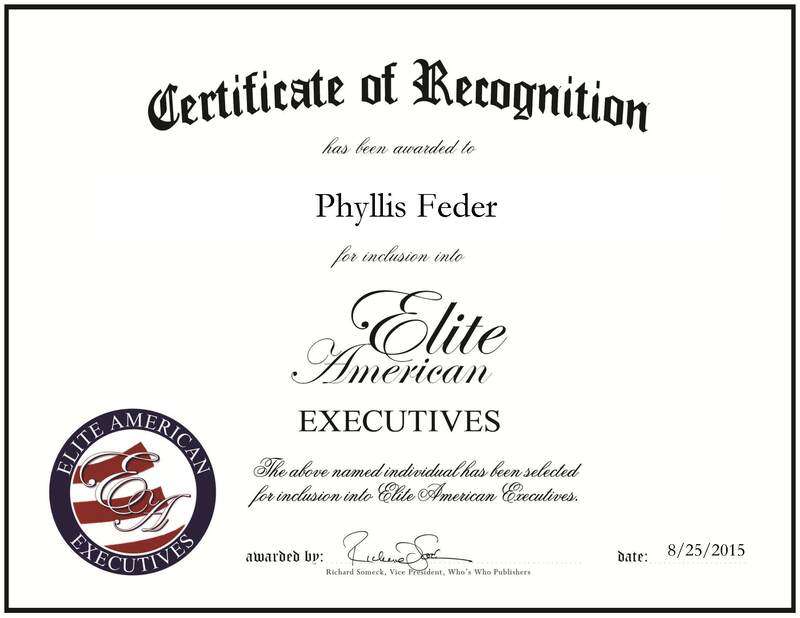 NEW YORK, NY, August 25, 2015, Phyllis Feder, Vice President of the Board at Kaufman Music Center, has been recognized by Elite American Executives, for dedication, achievement and leadership in fund raising. Ms. Feder has 21 years of professional experience, with six years as vice president of the board at Kaufman Music Center. Throughout her career, she has set herself apart through her personable skills and her musical talent. Each day, she is responsible for handling the fiduciary responsibilities of the music center, in addition to raising funds. Looking back, Ms. Feder attributes her success to positive support from her husband and family, a very nurturing atmosphere at the center and her passion for music. She is most proud of bringing the organization to a point where it is flourishing. It was a narrow focus, but they have expanded and brought new people in, fostering a feeling of expansion and development. She became involved in her profession because it allows her to be around children all the time. She loves listening to them play and sing and watching them progress. She is also a former French teacher. In the next five years, Ms. Feder would like to expand music education and performance at the center, deepen the appreciation of music, broaden the center’s visibility and recognition, and build a stronger financial foundation. This entry was posted in Music and tagged fundraising, music center, music education, music performance. Bookmark the permalink.